These short stories are dynamic and fresh, with evocative language that brings their Welsh settings to life. A Collection of Short Stories by Gillian Fletcher-Edwards artfully blends the contemporary issues of Welsh mining families with those faced in the past. 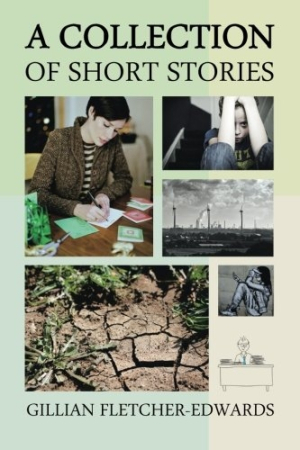 Featuring ten stories that range from pure fiction to near autobiography, A Collection of Short Stories elicits many emotions. “Marged Evans” is the story of two lovers who drift apart and are reunited later in life thanks to a Christmas card. “Memories of a Miner’s Child” and “The Annual Outing” focus on Welsh mining communities in the forties and fifties, from the arduous labor required just to survive to the deep love and kindness that the community offered to its members. Other stories, including “The Cottage on the Hill: A Monologue” and “The Raindrop” focus on the struggle and hostility of living through hard times. The great strength of Fletcher-Edwards’s writing is its ability to both inform and entertain. Many stories feature words and concepts in Cymraeg, the Welsh language. “Marged Evans,” by far the book’s longest story, introduces Welsh words with ease, providing just enough context so that the reader can figure out meaning on their own. “Memories of a Miner’s Child” is also steeped in Welsh tradition, with Fletcher-Edwards recounting everything from the day-to-day routine of her family to larger cultural activities that they engaged in. In addition to providing a fresh perspective, each story is well written, laden with beautiful imagery and a rhythmic style that makes for quick reading. In “Marged Evans,” when the title character notices the beauty of her little village for the first time in years, the story’s language concisely portrays the quaint Welsh town. “The Annual Outing” also features lush details, this time from the perspective of an artist painting and people-watching on a beach. The font choice has a polished feeling that complements the text, though the book’s cover is too busy with images. The arrangement of the book is smart, opening with the longest and most dynamic story followed by much shorter works. Some of these stories seem too short to achieve their intended purpose, though, as with “The Bully,” which recounts a young woman student’s change of heart in the wake of her bad behavior. Clocking in at a brief four pages, the story doesn’t give itself room to impart much other than the sense that bullying is bad behavior and that its protagonist is done with it—work that is done without much character development or exposition. Featuring themes of love, redemption, and family, A Collection of Short Stories is a dynamic and fresh short story collection.